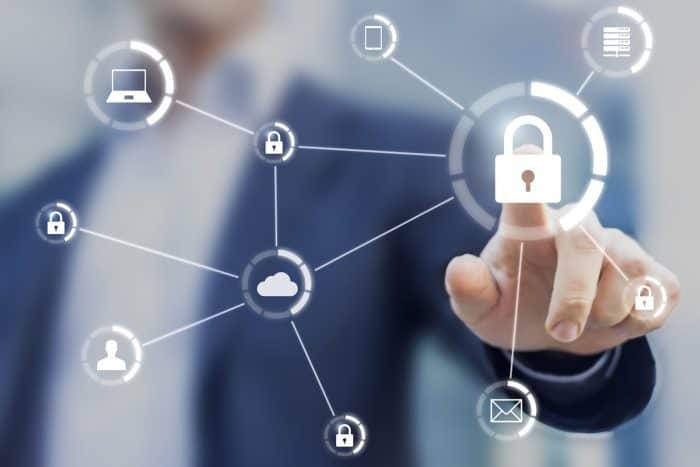 The creation of your Internet Of Things (IoT) device will require extensive back-end development as well as device development. Fortunately, you can simplify, speed up and reduce the cost of your back-end development by using off-the-shelf components. This helps you focus more on the unique aspects of your devices services and less about the nuts and bolts of the infrastructure. Microsoft have a cloud-based solution to provide the infrastructure for your back-end development called Azure IoT Hub. Your IoT Device will send (and receive) data to the IoT hub using a standard protocol such as HTTPS, AMQP or MQTT. Note that HTTPS is polling based so your device can only receive messages once every 25 minutes. AMQP and MQTT are more real-time focussed than this. Azure has many other services that can then be plugged into the IoT Hub to process received messages. In the example diagram, we show a Service Bus (Queue or Topic) that has been configured to receive the messages that have been sent to the IoT hub from the device. The messages can then be handed off to some application-specific computer programming. In this example, we show the message being received by an Azure function. The Azure function may access a database to save or load up some information to decide what action to take next. As an example, the IoT device may send a message to the IoT Hub to turn off all the lights in the building. The IoT hub puts the message on a the Service Bus queue. The Azure function then looks up the addresses of the lights from the DocumentDb database. The Azure function then issues “turn off” messages to all of the lights in the building! 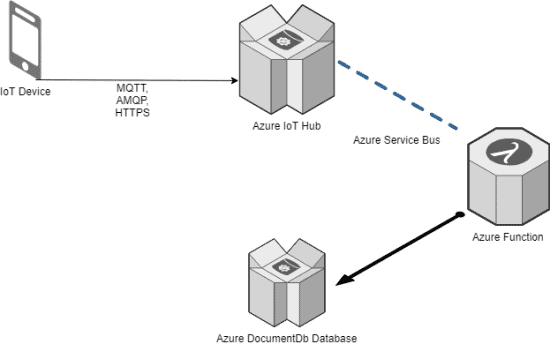 Azure IoT Hub and the associated services are a great platform to reduce time and costs and improve quality of back-end services for IoT devices. If you are interested in McKenna Consultants building your IoT back-end, please fill in the form below.